this is the new thread for the AOMM . here you can post your issues with the mod and we are open to your suggestions and ideas. we will do our best to help you with whatever issues there may be regarding AOM , and feel free to help one another along the way. we will not respond to harassment or questions that have already been answered. do you support my language? A: we do support about 10 languages right now, if you have translations you would like to add that are not listed, feel free to send us a message and we will add it for you. - where is the list of spells? there is no list. spells are meant to be learned as you go. a list could possibly be available once we have completed all spells that will be involved in the mod in the future. there will however, be descriptions of what spells do in game. how do i install this mod correctly? A: this is called a script mod. there are tutorials online how to install script mods for the sims 4. always put our folder in your root folder of the MODS folder. Hello! Great job on the mod. It's obvious that a lot of time and effort went into it. One thing I'm struggling with that I'm sure was probably mentioned on the other thread, is that I'm constantly getting the same crystals over and over that have already been learned. 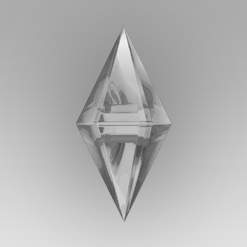 Is there any way to block the game from calling certain crystals if the active sim has the spell trait associated with it? It's just a bit frustrating to wait three hours before you can try again and you end up getting a crystal you've already studied. Other than that little detail, it's a wonderful addition to the game. Hi! Forgive me, but the link only brings me back to this page! Thank you for your hard work, I've been using the old version for a while now and it's nice to see its official release. The only issues I have was that I was rather a bit disappointed that there were no changes to how we get spells on the crystals. It's very frustrating to keep getting the same spell over and over and over again. I played the game for hours and made sure to claim crystals every 3simhour and nothing new ever comes out. The only new spell I got was "timewarp" where it wasn't really explained how it works, I got it by turning on buy debug mode. I use it, does its own animation and effects but nothing happened. Time didn't change at all or if it has a different purpose, I don't know. There's no description. The only thing I noticed after using it was Lewis the old lady appeared in my home and won't leave so I had to kill her because I find her annoying. It would also be nice if we can get a list of all spells arranged by rank and explain what it does. That way we'd know if we already have collected all the spells and are aware on what effects they can do. you will always get crystals. crystals are what gives power to cast spells it is what powers you to meditate and without them you wouldnt be able to do too much..there is no way to block it. you will have to wait the amount of time required. we didnt want this to be too "cheaty" . study the crystals use the spells youre able to use that is the way you will be able to advance , by using spells repeatedly and meditation! you also have your spell tome you can study during that time..also collect crystals and sell them for the time being. many ways to cancel out the 3 hours. thank for you for enjoying the mod! youre most welcome & we do enjoy knowing people who have stayed with us ! i dont understand, youre disappointed in the way the mod works? have you tried using spells on other things..such as sims , objects , plants etc? yes 3 sim hours is the cooldown for crystals. this mod is not cheaty sorry. 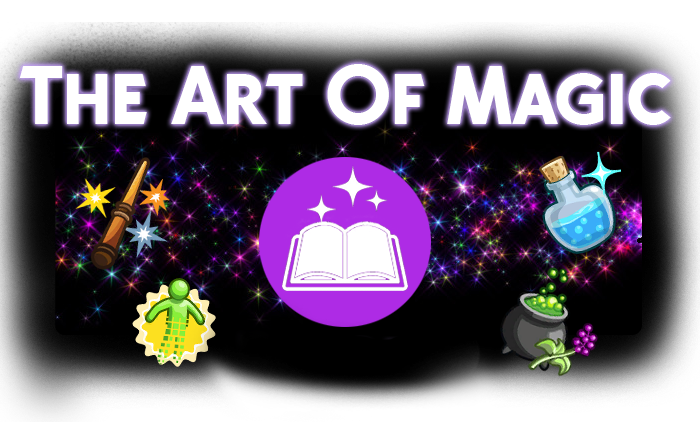 you can however collect as many crystals as you need in the mean time because you will need them ; as the more powerful the spell is the more mana power is required from crystals to cast it. there wont be a list of spells any time soon , we still have things to fix regarding spells , there are way too many to discover. you can only get new spells with a new level , so for now we are working towards spell descriptions in game as spells are unlocked. hi, do you need all the sims pack to play this mod because I'm stuck on color burst and I feel like I'm missing something? What I mean by my disappointment was that we keep on getting the same crystal "spell" over and over again. There's no point in getting the same "spell" if we already have learned it right? We only need 1 crystal to learn 1 spell yet I keep getting, let's say, Conjure insect for the 10th time today already. So I was thinking if it's possible that the spells we already learned won't appear again on the energy basin, giving us new spells each time we consolidate ley energy. To balance it out, you could increase the cooldown from 3 hours to 24 hours so long as we get "new crystal spells" each time we tap into the basin or another way for us to easily get new spells. No skill progress is received when reading the books (I have another sim mage in the same household) . Is this a bug or by design? Hi guys! Loving the mod! Any plans to make the spells autonomous? It would be cool to create warlocks and teach them the more harmful spells so they wreak havoc just in time for my good witch to save the day. I just found the speculations thread so sorry about the email...but I just wanted to let you know that I got an LE related to the mod last night. I was editing my male sim and all of a sudden his ears were super elongated...like elf ears to the max. I didn't have any earring on my guy sim and wasn't doing any magic just yet. I was just fiddling with his face and using skin overlays and surprise, he had super elf ears!